What is Philosophy of Cosmology? The Constants of Nature are quantities, whose numerical values we know with the greatest experimental accuracy – but about the rationale for those values, we have the greatest ignorance. We might also ask if they are indeed constant in space and time, and investigate whether their values arise at random or are uniquely determined by some deep theory. 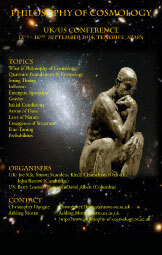 The talks are aimed at philosophers of physics but should also be of interest to a wide range of cosmologists. Speakers will introduce the physical constants that define the standard model of particle physics and cosmology together with the data that determine them, describe observational programmes that test the constancy of traditional ‘constants’, including the cosmological constant, and discuss how self-consistent theories of varying constants can be formulated. Registration is free and includes morning coffee and lunch. Participants are requested to register at the conference website where the full programme of talks can also be found. Lectures by Nima Arkani-Hamed (institute for Advanced Study, Princeton), Nick Bostrom (James Martin School, Oxford), Christopher Smeenk (University of Western Ontario), and Jean-Philippe Uzan (CNRS, Paris). This mini-course will be about fine-tuning and anthropic reasoning in cosmology: about the variability of physical constants, the consequences of such variations, and how to compensate — and recalibrate probabilities accordingly — for the fact that the observations that we make are necessarily of a region in the universe in which their values make our existence possible. 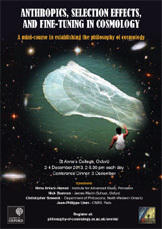 The lectures on Tuesday 3rd December will be followed by a conference dinner at St. Anne’s at 7.00 p.m., with a talk by Nima Arkani-Hamed. The mini-course is followed by a one-day workshop on the same topic on Thursday 5th December, also at St Anne’s, with talks by Bernard Carr (Queen Mary, London), Fay Dowker (Imperial, London), George Ellis (Cape Town), Andrew Liddle (Edinburgh), Jesus Mosterin (Barcelona), John Peacock (Edinburgh), and David Sloane (Cambridge). Attendance of the lectures and workshop is free, but registration is required, as space is limited. You can find accommodation at Oxford Rooms. the aim with these two conferences is not only to do two workshops on cutting edge topics, but to recognize the collaboration and mutual support between three communities of philosophers of physics: Cambridge, London, and Oxford. Organizers: Adam Caulton, Eleanor Knox, Bryan W. Roberts, David Wallace. 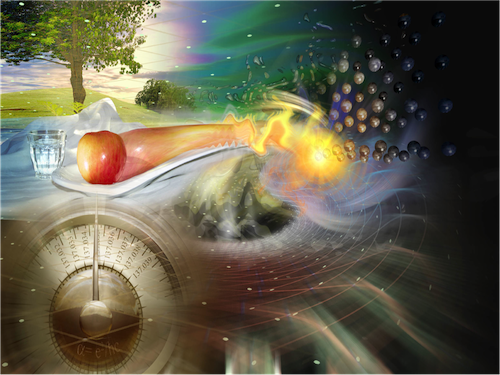 “Foundations of Physics” will take place from 29 to 31 July, 2013. 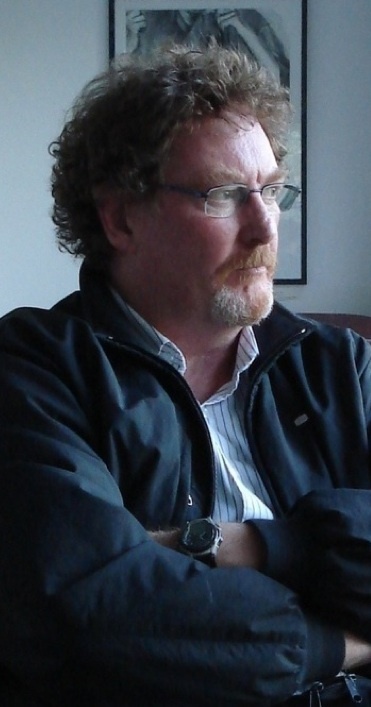 There will be an evening lecture by Julian Barbour together with a drinks reception in the “Ehrensaal” (main building) of Deutsches Museum (at Museumsinsel) on the first day of the conference.